The mountains have secret trails, which are generally known and traversed by the inhabitants of the mountain kingdom. You and I may fall and trip, if we dare venture on these trails. 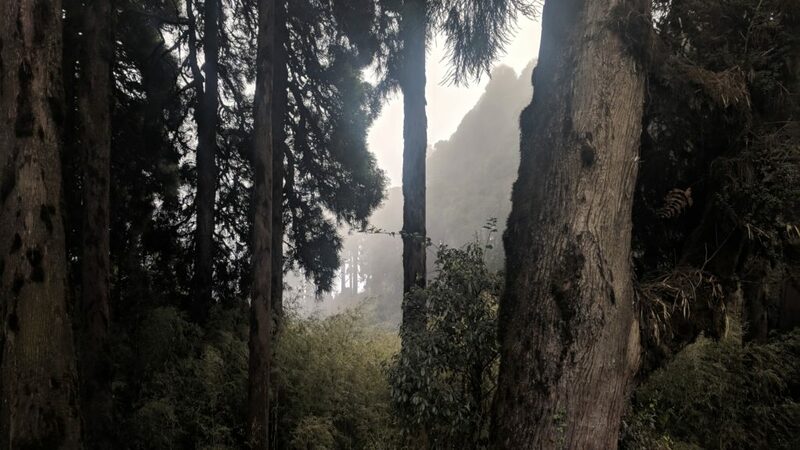 That is what I wanted to learn…how to run down steep forest slopes, how to climb up paths where there is no beaten path, how to navigate moraine and scree; in short, how to explore the secret trails of the mountains. That is what pushed me to register for the Basic Mountaineering Course (BMC). I sent my application to the Himalayan Mountaineering Institute in December 2016 and got a confirmation for the course in April 2018. In the last 5 years, the interest in outdoors has multiplied a hundred fold. Therefore, getting a place in the batch has a waiting period of 18 to 24 months, before you get confirmation. 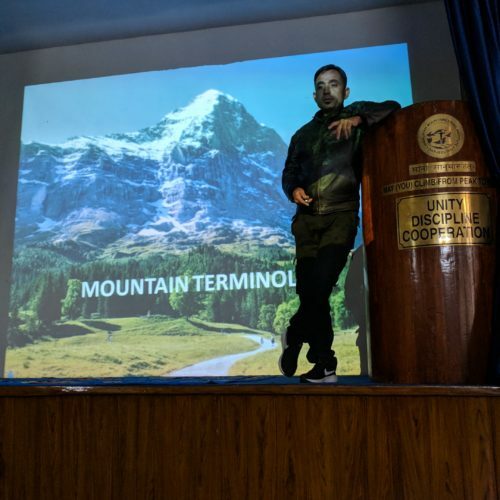 Coming from Bombay, I was very excited that I was going to be close to the mountains for 28 days. These days taught me the difference between loving the mountains and wanting to be a mountaineer. I share that in my experience below. On reaching the institute, we were asked to complete the basic formalities, after which, I was introduced to the Quarter Master, who made me feel like I was in the 1960s. We were given a Steel glass, an Aluminum Mess tin, bed cover, pillow cover, quilt cover and a spoon. All this we held dear till the very end. In order to be able to traverse these secret trails, one has to be fit, one must be able to jump without thinking how high or wide the gap is! One must be able to run not just on flat ground, but run uphill as well. The first week of the course started with daily physical training for 75 to 90 minutes at 6a.m. 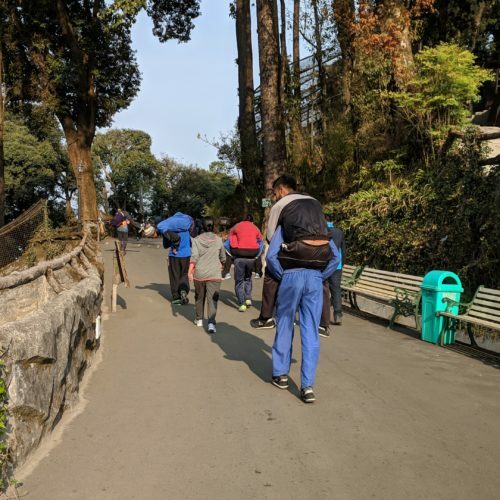 After an intense uphill run from HMI to Raj Bhavan and around Chowrasta in Darjeeling (3km to 5km), we did athletic exercises to stretch and train every part of our body. Burpees, pushups, regular squats, squats on your toes, crunches, frog walk, breathing exercises, plank on 2 fingers… all the exercises that I did not like, became the raison d’etre of the day. 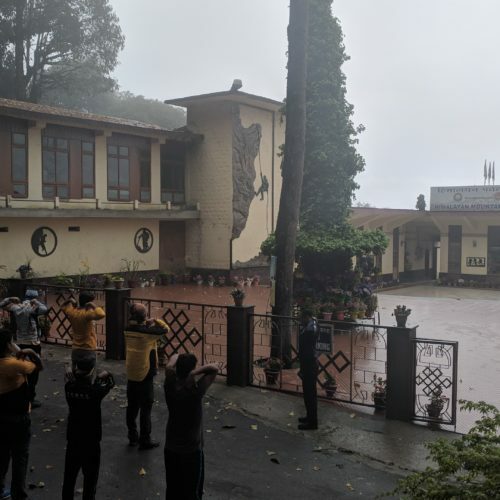 Nevertheless, standing outside the entrance, facing the Himalayan Mountaineering Institute board every morning during the warm-up was an absolute high. On the first day, after a quick change and breakfast, we had a detailed session on ropes and knots. The 28 days taught us the importance of knowing how to use the rope to secure yourself, your team, to rescue a group member incase of a fall, the knots used for a person leading the trek, the person in the middle, how to coil and maintain a rope. It is indeed the lifeline of a mountaineer. I felt that we were creating magic with the rope. The depth of the human mind doesn’t cease to amaze me. I wonder who invented these knots. The highlight was undoing bowline on the bite! After twisting the rope one way, then the other, tying the knot, all it required was a neat pull to untie the knot! In the afternoon, we had an ice-breaker session. It was interesting to get to know my batch mates. A startling fact was that more than 50% of the batch had left their jobs to pursue the course (their passion), as their company would not permit leave for a month. 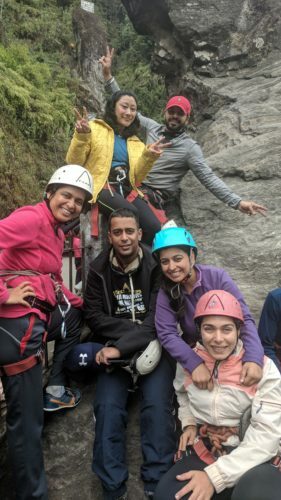 The next 4 days we were introduced to the basics of Rock Climbing and Rapelling. I always felt that arm strength is the most important while climbing up a rock. This myth was rightfully busted. It is important to look for footholds as much as we look for hand holds. Find a foothold and then pull yourself up. An important aspect of Rock Climbing is Belaying. A Belayer gives safety to the climber. He manages the flow of rope to which the climber is anchored. We learnt many techniques and how to use adventure equipment eg: Carabiner, Harness, Helmet, a Descender. In Rapelling, we learnt the classic style, then we learnt how to rapel looking down, like Spiderman! We also learnt rapelling sideways. An interesting aspect was how to manoeuver an overhang and a chimney rock. This training was generally from 8a.m. to 1p.m. After a lunch break, the afternoon sessions were relatively relaxed. 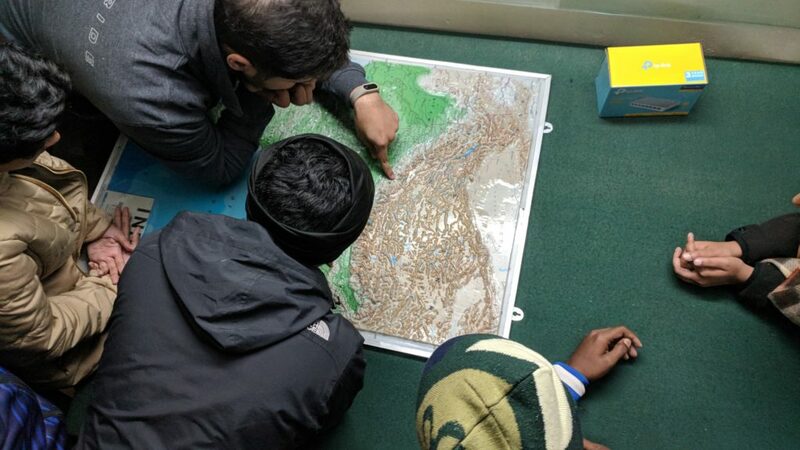 We learnt about the Himalayas, Mountain terminology, First Aid and CPR, Mountain Hazards, Avalanche and clothes to wear in the mountains. HMI shares the campus with the Zoo. We had a very interesting session on Bio-Diversity at the zoo. 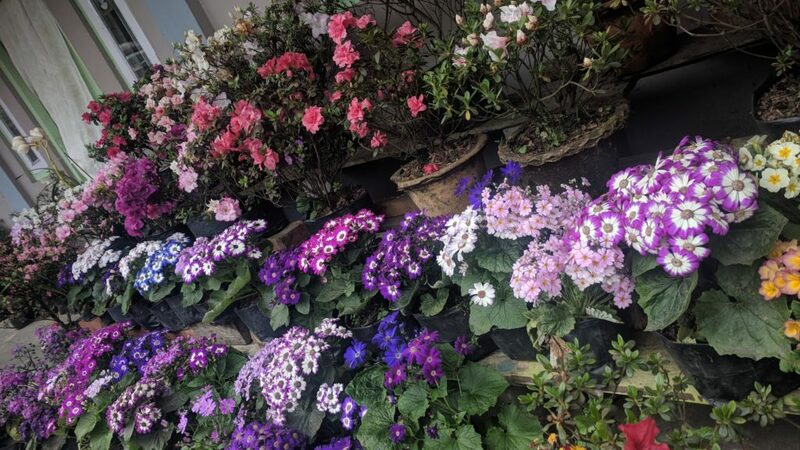 I learnt that nearly 50% of the flowering plants recorded in India are from the Northeastern region, hence it is regarded as the cradle of flowering plants. The lecture on types of clouds and being able to predict the weather was very fascinating. Clouds are differentiated based on colour, the height at which they appear, their texture i.e. a thin sheet, cotton ball like, cauliflower shaped and more. Some clouds bring shade, some rain, others snow, some mist. Sitting atop a mountain and gazing at the sky is one of the best ways to gain experience in the subject. Something I have noted down, to learn during my next mountain trip. For city folk like me, studying clouds is a fabulous way to slow down. In the evenings, mountain movies are screened and we had access to the Library. While the movies screened were very old, the Library had a fantastic collection of books on Mountaineering as well as Alpine journals. Dinner was between 7p.m. and 8p.m. We couldn’t help but fall asleep by 9p.m. for another day of learning. 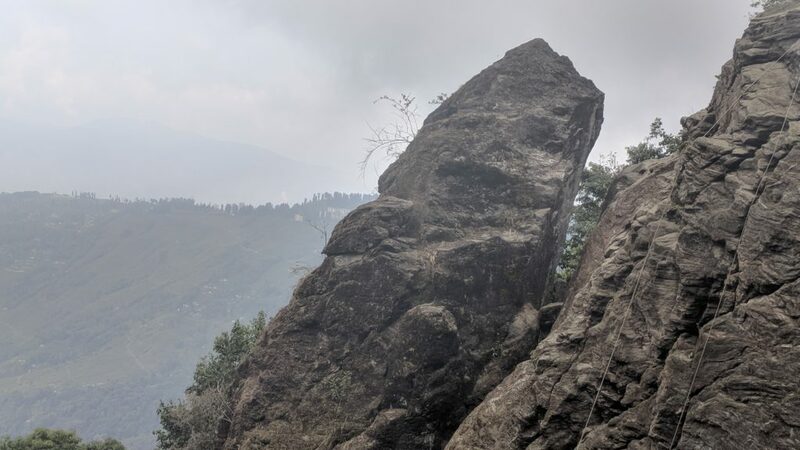 On Day 6, we went on a 26km trek to Tiger Hill, to get accustomed to walking with a heavy backpack. At 8400 feet, it is the 2nd highest point in West Bengal. On a clear day, one can see Mt.Everest from here. When we saw some fog, a friend quipped that maybe someone was smoking hookah on the top of the mountain! As the week was coming to a close, the excitement and anticipation of the trek and training ahead was increasing. 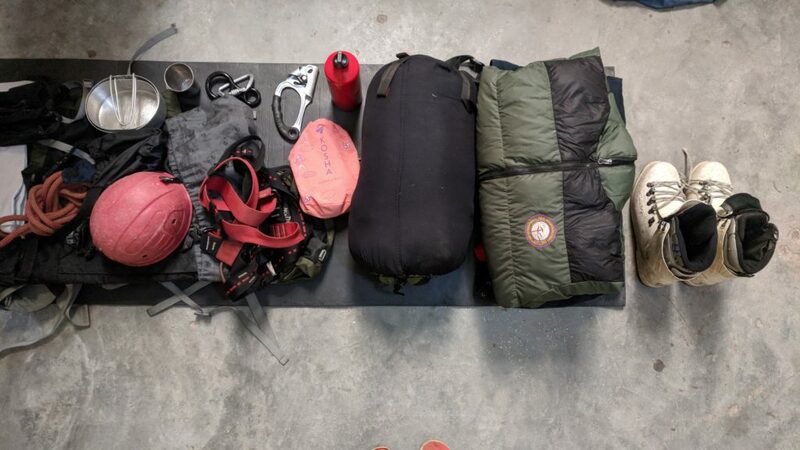 Day 7 was rest day, where we could exchange our equipment if needed and step out to the market to buy essentials. I stocked up on chocolates and a rain cover for my bag. The next day we left for Yuksom, which was approximately 90km away, in Sikkim. It was a 4 hour drive, which marked the start of Stage 2 of the course. Apply sun block every 3 to 4 hours. It helps avoid sunburn. Stretch your calves, do squats and pranayam. They go a long way in keeping you fit in the high altitude. Carry a bottle that doesn’t have metal on the outside. It becomes difficult to hold in the cold as metal carries heat away from your hand.